Carol is a Land Professional with 15 years of telecommunication experience in Site Acquisition, Contract Negotiations, Agreement Drafting, Right of Way Acquisition, Title Review and Title Curative. Carol began her career in 1990 as a landman in the oil and gas industry preparing title reports and acquiring oil and gas leases. 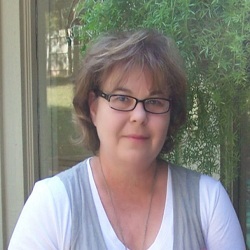 In 1998 Carol joined Sprint in Dallas as in-house Site Development Professional. At Sprint, she was responsible for the development of sites that were associated with the operation and expansion of Sprint’s network. She managed site acquisition vendors, developed timelines for the successful completion of on-time builds. In 2002 Carol created Skyward Land Services, Inc. in Edmond, OK providing turn-key site development services on hundreds of telecommunication sites for Sprint, Nextel and US Cellular throughout South Central United States.